Sleek and sweet. 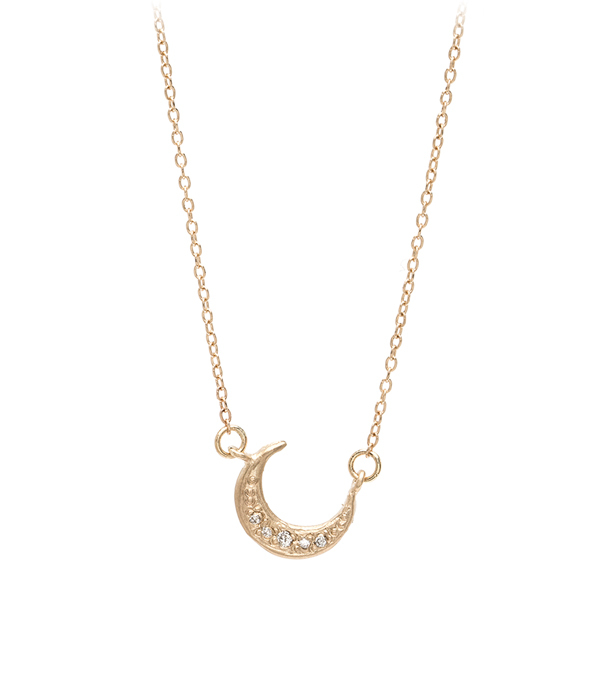 This 14k gold crescent moon necklace is accented with 4 twinkling diamonds following the moon’s curve. A subtle reminder to "shoot for the moon, even if you miss you will land among the stars".